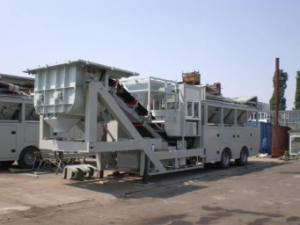 The Euromix 75 Dynamik concrete mixing plant is a complete automatic concrete mixing plant consisting of the concrete mixing plant and the Euromix 75 Dynamik mixing plant, which is composed of parts, agitator and electrical control system. It is equipped with a separate manual control, automatic compensation and compensation for the water content of sand and stone. It can automatically complete the secondary life of the predetermined tank. The unloading height is 3.8 meters. The storage hopper volume is 8 cubic *3 warehouse or 4 storehouse, the supporting main engine is a forced twin horizontal shaft mixer. 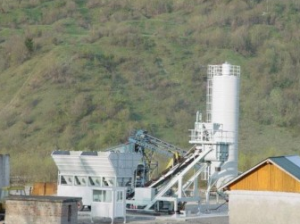 The investment funds of Euromix 75 Dynamik plant are small, the site is small, the combination structure is used, the installation and relocation of the whole machine is very convenient. 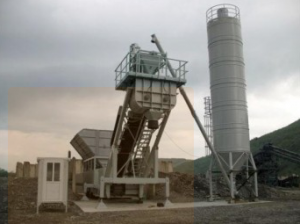 The Euromix 75 Dynamik concrete mixing plant adopts the way of feeding and lifting hopper, the unique design of hopper and track, which can conveniently and efficiently fill and dump the aggregate, and greatly reduce the field. The area is occupied. Less equipment, easy maintenance, independent control room with performance, convenient and safe operation, and high quality and efficient concrete can be produced in the case of accurate metering of batching machine. JS1500 type twin horizontal shaft forced concrete mixer is used for mixing main engine and aggregate lifting. The mixing quality is good and the efficiency is high. Euromix 75 Dynamik mixing plant batching system adopts PLD2400Q- III batching machine, which has accurate measurement and high production efficiency. The proportioning of cement, water and liquid additives is measured by electronic scales, with high accuracy. The water supply system adopts the principle of siphon pump pressurization, so that the water flow rate is accelerated and the spray is uniform. The principle of the structure has been patented by the state. The main components of the electrical control system are all imported, with reliable performance, convenient operation and operation, printing function and air conditioning.